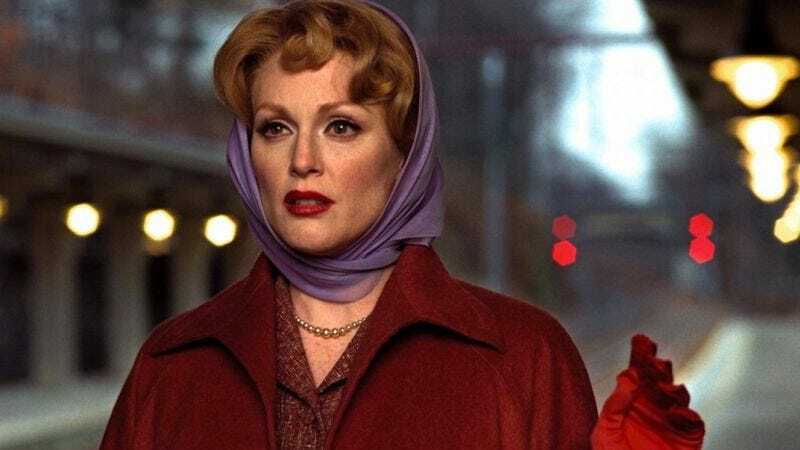 Julianne Moore snagged an Oscar nomination for her role as an emotionally smothered housewife in Todd Haynes’ exquisitely sad diorama of mid-20th century domestic life, Far From Heaven. And now Deadline reports that Moore is set to re-team with the director for Wonderstruck, an adaptation of Brian Selznick’s 2011 book. This will be her fourth time working with Haynes; she also starred in his 1994 film Safe, and appeared in 2007’s I’m Not There. Of course, calling Wonderstruck just a book is like saying Quadrophenia is just an album. Selznick’s story alternates between the lives Ben and Rose, a pair of deaf children separated by 50 years and thousands of miles. It also weaves together prose copy with full-page illustrations that are as beautifully executed as they are crucial to the narrative. Moore’s role has not been confirmed, but Wonderstruck readers might be inclined to guess she would play Lillian Mayhew, a glamorous film idol and the object of Rose’s fascination.